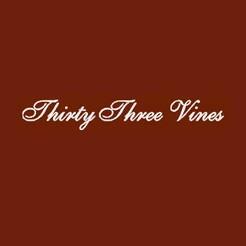 Thirty Three Vines has been producing ultra -premium red and white wines from 10 acres of viniferous grapevines since 2007. Our French style reds and whites, include Cabernet Franc, Pino Noir, Merlot, Riesling and Chardonnay. Our newest variety just released this spring which we are very proud of is our white Frontenac Blanc.